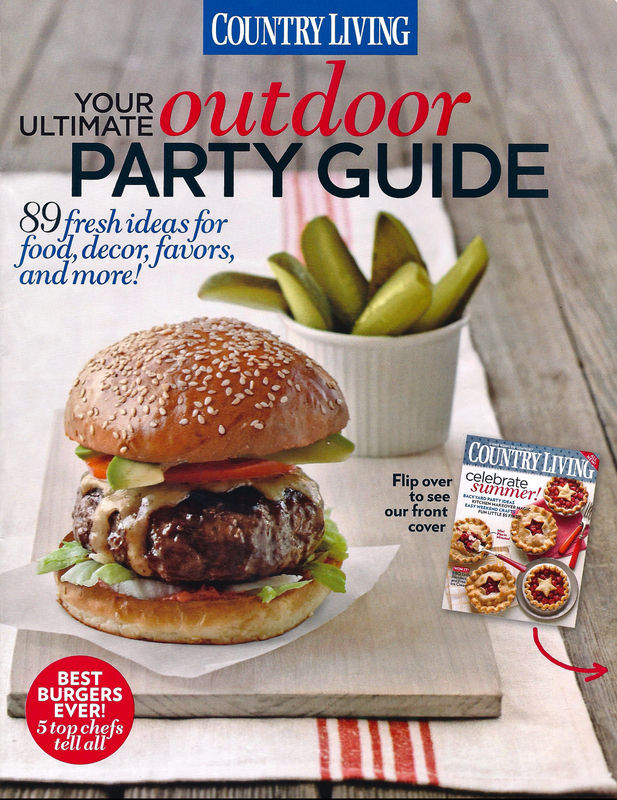 Have you seen the Outdoor Party Guide in the July issue of Country Living? It's full of fun, clever, and useful tips for outdoor entertaining. There's even a recipe of mine for a no-fail sangria, just in time for the Fourth! Back in my catering days, I made it up one summer for a party. Turns out, the recipe was such a hit, everybody kept asking me what was in it! Of course, I was a little embarrassed at first, but when I realized how delicious and fast it is—and that anybody can make it—I knew I had a hit! 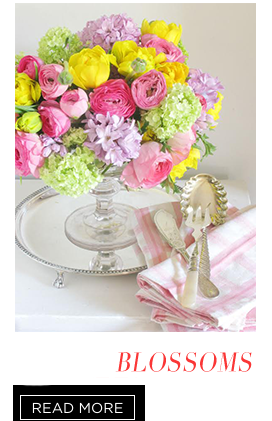 A special thank you to all the editors at Country Living for including me! Cheers! Eddie – How much Fresca and how much wine? Thanks!! I do 1 bottle of wine to 3 cans of Fresca. Works great with red wine too, but use cherries, oranges, apples and/or grapes. We love it! 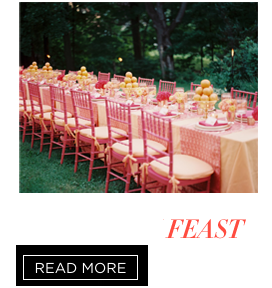 That looks so pretty….yes, i’m curious too about how much fresca and how much wine? Just in time for the 4th, this will be on my list. Sounds delicious – I’ll have to give it a try! Oh my gosh, that’s a wonderful idea! I always forget about FRESCA. Can’t wait to try it! Well HOW refreshing is that! Looks beautiful in that vintage jar. I just love this idea!!! Seems lighter than Sangria, using the white wine! Will do for the 4th! Awesome! Thanks for such wonderful inspirations! Just listened to both of you on The Skirted Roundtable (how could I not!) — great chat! You two are the best. That cocktail looks like fun. (Fresca! Who would have thought?) How about also tossing in blueberries for the Fourth of July? …And now it’s officially Jaithan’s July 1 birthday, so I wish you another great day with lots of hugs and good cheer from me! I loved you at the word Fresca. I happen to have all the ingredients at the ready! HI EDDIE, THIS LOOK SO DELICIOUS AND REFRESHING! UNFORTUNATELY IT IS SO WINTERY HERE WE WILL HAVE TO SAVE THIS TREAT FOR DECEMBER….ANY SUGGESTIONS FOR A HOT TODDY??! 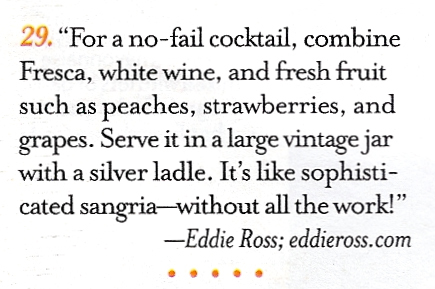 Sounds delicious Eddie…..this summer that will be on my cocktail list, xv. I am hosting a party soon and this looks perfect! Thanks for sharing. Any suggestions for the white wine? I’m pregnant so I won’t be able to sample it before serving it to guests. I’d love to know what you normally use. Thank you! Just wanted to stop by to tell you how fantastic I think you are. 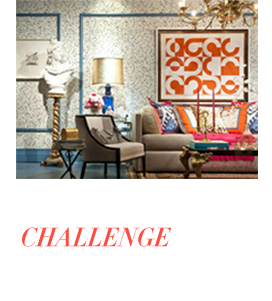 Watched you on Bravo…think your ideas are so inspiring and creative! You are my new entertaining guru..The sangria recipe looks delicious by the way! Spanish food is our favorite and we both love Sangria. Looking forward to trying your recipe with my hubby’s fab Gambas Al Ajillo recipe and yellow rice. I saw your recipe in Country Living! As a matter of fact, it’s what we’re serving the night of the 4th as we watch fireworks and listen to the Pops. Can’t wait! 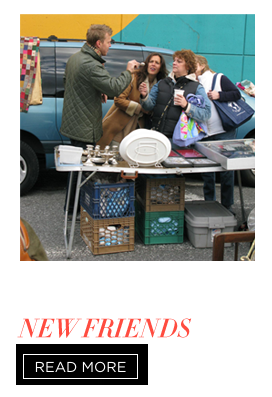 all of your pictures, recent press, even you ads on here (dash and albert rugs..love it..my blog advertises wishbone dressing! ;;;) it all looks so wonderful! great things are happening for you and i love watching..ENJOY!!!!!!!!!!! what is Fresca? nothing with that name here in Italy..
Fresca! I haven’t heard that word in about 20 years! I’m going to try this Friday evening with friends and Maryland crabs. Btw, loved the Joan Crawford ornament wreath post during the holidays. My sister made it and it turned out beautifully. My girlfriend and I just made these earlier this week and they were delicious! That’s great! I’ve made Sangria for parties..the real deal with Brandy and everything. I’m having another party in August and this is the drink I will serve! Do you think adding fresh mint would be a mistake or a bonus? I would love to use up the abundance I have in my yard. Thank you! I featured this AWESOME easy recipe on my blog yesterday. Thanks for always inspiring us to entertain a little better than before. 🙂 Have a terrific holiday with the people you love! LOVE your new August Country Living makeover article. So pretty! But where did that fab wood coffee table come from, they didn’t identify a source, is it one of a kind? Love the whole room! Going to try your sangria recipe this weekend, perfect timing. Thanks, Eddie! The sangria looks beautiful…in fact everything you do is beautiful. Will try it for the 4th of July. I hope you and Jaithan have a great holiday weekend. Happy 4th !!! I’m so thrilled you like the recipe, and that you might give it a whirl yourselves! For those of you in far and distant places, Fresca is a citrus soda from Coca-Cola. Any similar drink will work too; I’m just personally obsessed with Fresca and drink it every chance I get! Wow Fresca takes me back to the 4th grade. I haven’t looked for it in the store before so I am going to give this a try. Have you ever tried this with another soda pop beverage? Sprite, 7Up or Ginger ale? Just wondering how it might differ. I usually use Sprite, but I will definitely try it with Fresca. Plus I chop the fruit up so tiny and let it soak up the wine in the fridge for a few hours! Delish! i’ve been a fan for ages, but this is my first time commenting. 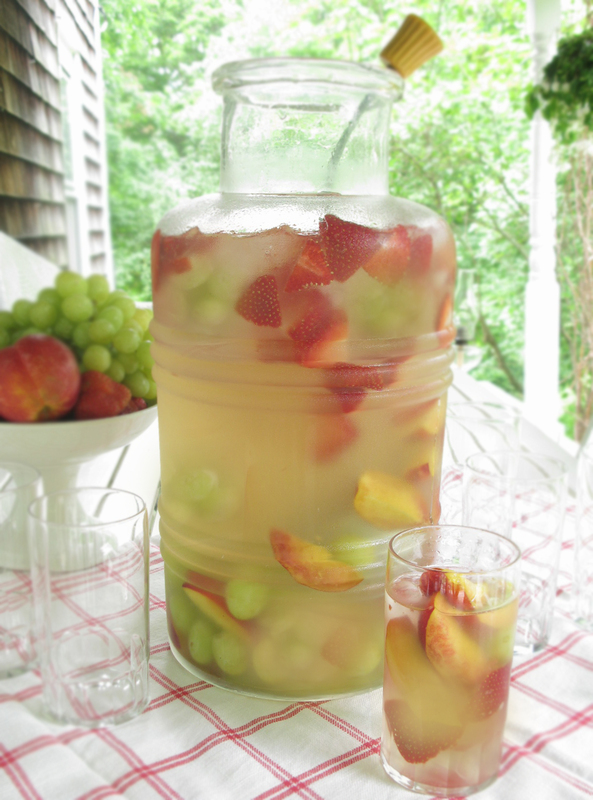 i made this sangria for our 4th of july cookout and it was a HUGE hit! so delicious 🙂 thanks for the recipe! This was the first time I had ever heard of this recipe and I’m a fan! After using this last night at a dinner party and people oooing and ahing over the presentation I’ll keep definitely mark this a keeper! Thanks for your always inspiring ideas! What type of white wine would be recommended? Thanks. Sounds fab Eddie – will whip up batch for our next BBQ! Will have to substitute the Fresca since we don’t have it here in Ireland but we have Club Lemon which is very lemonly and perhfect for this. The sangria looks amazing! And its so easy to make.. For sure going to serve this at my next gathering. Thank you. Have been using and loving Fresca since high school in the 1960’s…..my secret ingredient for a Fresca refresher is a splash of pineapple juice….so perfect…in fact pineapple in the sangria would be great…get some juice in there! I have also been doing a version of this sangria since the 80s. 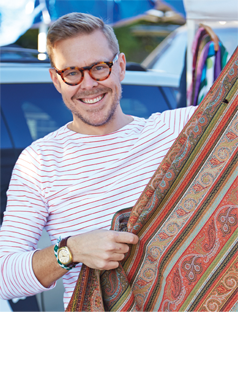 Everyone loves it–it’s sort of like a sophisticated wine cooler. Try adding frozen mango or peach slices; keeps it cold w/o diluting it. If you want to kick it up a notch, soak fruit in brandy and sugar first, then add the whole mixture before serving. I’m getting thirsty. This recipe also is great using red wine too! I substituted a moderate pinot noir and it turned out absolutely fabulous! I am looking ahead for your subsequent put up, I will try to get the hang of it! is this a big bottle of wine or small? ?